Yes, yes, I know, today is also Groundhog Day. (Wait, wasn’t it Groundhog Day just yesterday?) But there are more important things to think about today than a marmot and a shadow. Like food! 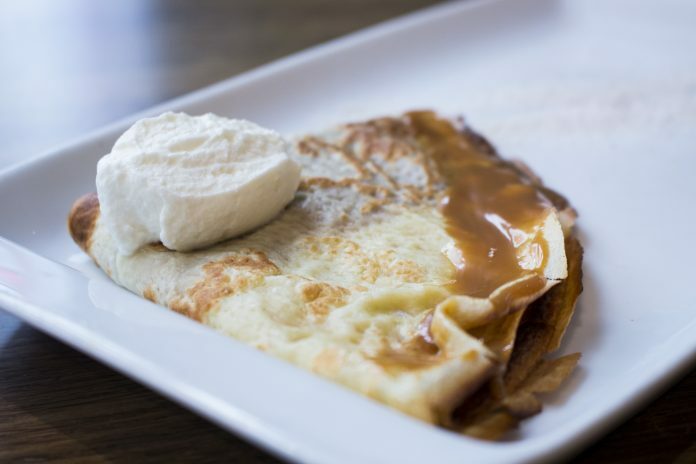 In the United States, crêpes tend to be thought of as a fancy dessert food, but during the years I lived in Paris, I came to think of them more as cheap, ubiquitous street food—with either sweet or savory toppings/fillings. In any case, crêpes are delicious, super quick and easy to make, and appropriate for any meal. Enjoy one (or two) today—no matter how much longer winter is predicted to last.